I mark the NCAA Championship game as the official end of the holiday's. Tough break Notre Dame, even with a 10 point spread I just can't imagine anyone would have put money on the Fighting Irish. I think God was too busy caring for The Baby Jesus to get too involved in this game. Above is a photo of the front of our pizza shop. I like to try and remind people that we are actually a restaurant and not a food truck. 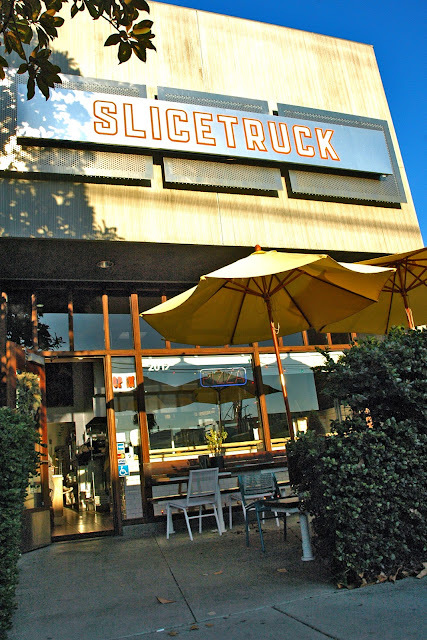 We named it Slicetruck because we started with a pizza truck and just couldn't think of a new name for the store. You should try naming a pizza place. Very difficult to find something no one is already using and real easy to fall into the lame trap of throwing some meaningless Italian name into it or a "papa" or "mama" into the name. 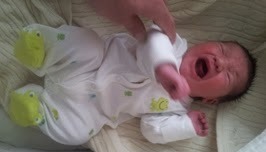 Also, I thought you should know since paying customers are pretty much like family, I had a baby boy on January 2nd and even though my brother and I are not Italian, the kid is (a little) and it should help with the taste of our pizza. He's also a big Catholic (we let him make his own decision on religion) so that ND loss really got to him, even though I told him not to get his hopes up.